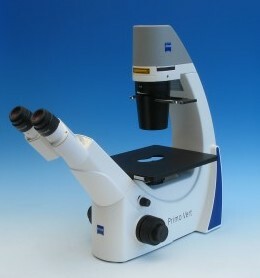 Primo Vert is an inverted microscope with good optical quality, good durability, ease of use, and an appealing industrial design. All this is available for an affordable price. Utilize Primo Vert in routine laboratories for life cell inspection. Primo Vert is also a reliable routine microscope in cutting edge research laboratories for a quick and efficient check of living cells. Typical applications include, among other things, cancer and HIV research, human, animal, and plant genetics and cell biology in general.